How appropriate on the first day back to school for CNP students that Dr. McCharen is our former President spotlight of the week! 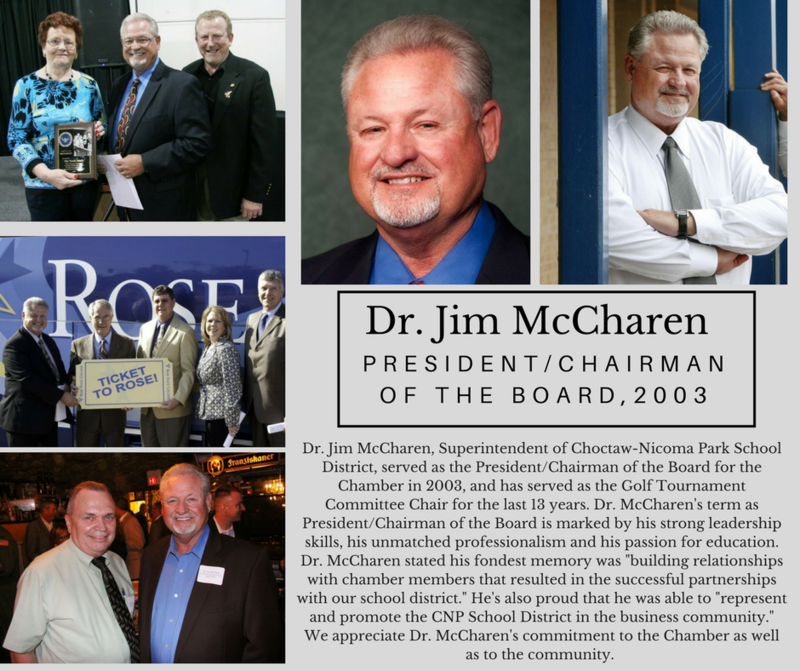 Dr. Jim McCharen served as the President/Chairman of the Board in 2003, and has chaired the Golf Tournament Committee for the last 13 years. One of Dr. McCharen’s legacies will undoubtedly be the strong (and lasting) partnerships he cultivated between the chamber, local businesses and CNP Schools. You’ll be hard-pressed to find someone more dedicated, more persistent, and more diligent in the betterment of our schools and our communities than Dr. McCharen. Thank you for all you have done, are doing and will continue to do, Dr. McCharen.